PAHU Website Template is a free Minimal UI Kit.Download PSD WEBSITE TEMPLATES. I am excited to share with you a flat UI kit psd. PAHU Website Template is a free retina-optimized will give your design project raw organic look. This PSD WEBSITE TEMPLATES perfect for free interior design website template, template, free, Mockup, interactive, UX design, ui design, psd. The resource is in PSD format so you can customize and edit as you like. 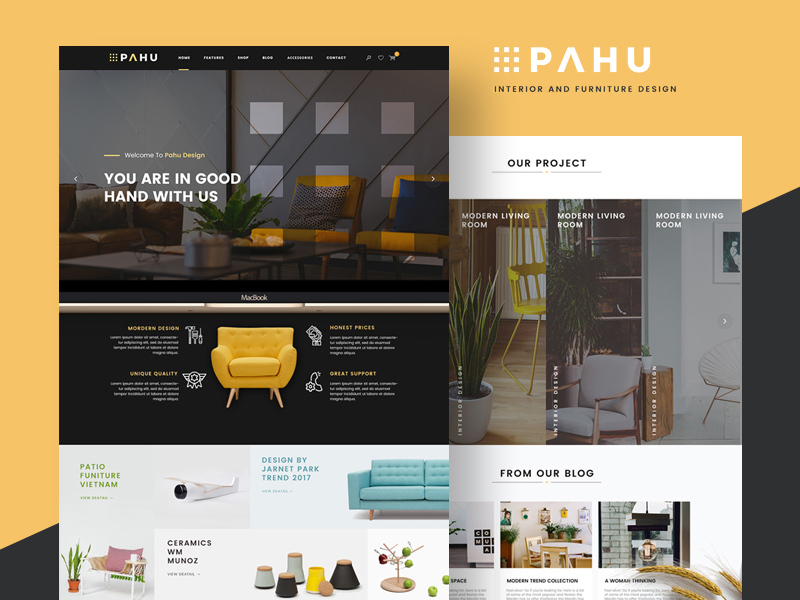 Pahu is a free psd website template made for a design interior store project. It has a clean and modern structure with beautiful photos and clear layout. So if you want your website to look elegant be sure to give this freebie a try. The author of this resource is Pham Huy.